We believe the wisdom, strength, and leadership of our communities are the most powerful levers in creating positive change. 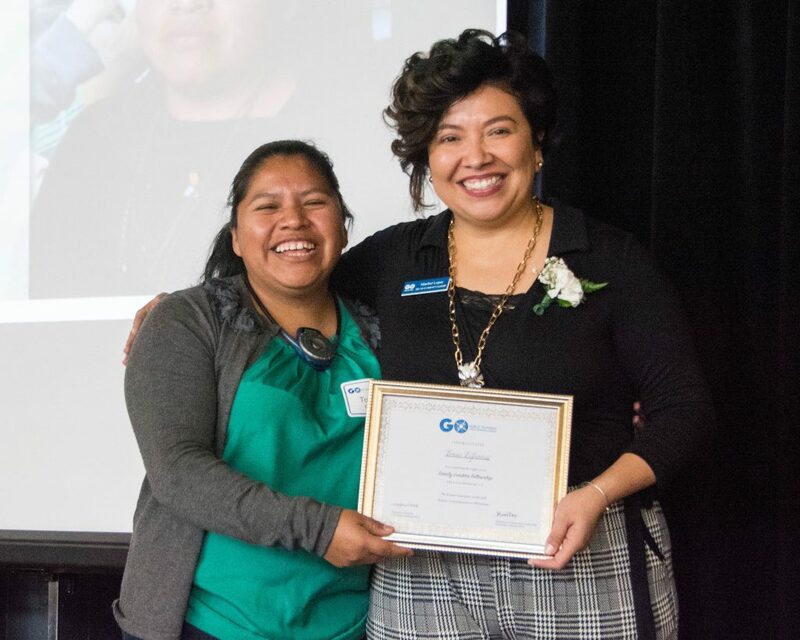 That’s why we’re thrilled to share that our first cohort of West Contra Costa parents recently graduated from GO Public Schools West Contra Costa’s inaugural Family Leaders Fellowship! Join us in congratulating our Family Leaders for their vision, hard work, and leadership. Over the course of six weeks this fall, these passionate and powerful parents — representing nine district and three charter schools throughout our community — dove into a curriculum that covered topics such as organizing, relationship building, public speaking, and data-based evaluation and accountability. Many of the parent leaders in this first cohort have also participated in WCCUSD’s Parent University, School Site Councils, and district committees. Together, we learned and built advocacy skills to support all of our students’ journeys to success in school and in life. We are so honored to be part of the leadership journey of our first group of Family Leaders, and look forward to continued partnership in service of kids. Check out this video to hear from participants in their own words!